In 2015, podcasting finally broke through into the public consciousness. Podcasts have enjoyed niche success for the past ten years or more, but listening to them was a cumbersome process, and audiences were small. Now with the proliferation of smartphones and Bluetooth-enabled car stereos, podcasts are easier than ever to consume, and they are experiencing an explosion in popularity. I talked about podcasting’s potential as a content marketing platform in one of our hybrid marketer series posts this year. Now let’s look at the other side of the equation: podcasts by marketers for marketers. There are hundreds of marketing podcasts out there, featuring thought leaders in our industry beaming their thoughts directly to your device of choice. They inform, entertain, and inspire. So reclaim your commute time. Exercise your brain as well as your body at the gym. Cue up these podcasts and become a better marketer in 2016. 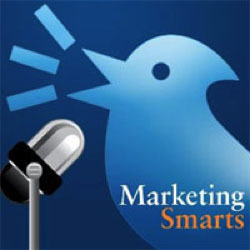 The good folks at MarketingProfs release a new 30-minute episode every week. Each episode features a long-form interview with a fascinating marketer, from industry vets like Ian Cleary to creative entrepreneurs like opera singer Ja-Nae Duane. The best part: Their archive is searchable by topic, so you can zero in the subjects that interest you most. At a quick-and-dirty 20 minutes, Duct Tape Marketing is the shortest podcast on this list. But the limited runtime doesn’t mean shallow discussion. John Jantsch delivers the goods with the help of guests like KISSmetrics’ Neil Patel and bestselling author Seth Godin. 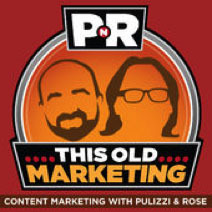 “PNR” is short for Joe Pulizzi and Robert Rose, the masterminds behind Content Marketing Institute, which is all you need to know about how good it is. Their lively weekly show takes a look at current marketing news, and also looks back at amazing content marketing from the past. A highlight is the “Rants and Raves” segment, in which they each take a minute to sound off about a marketing issue in the spotlight. The Rainmaker.fm network hosts a treasure trove of marketing podcasts, but this one is one of my favorites (guess why). 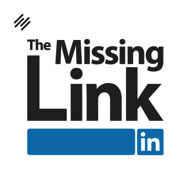 It’s a weekly, 30-minute look at how marketers can use LinkedIn more effectively, hosted by Rainmaker CFO Sean Jackson. Guests include LinkedIn Expert Viveka von Rosen and bestselling author Jay Baer. 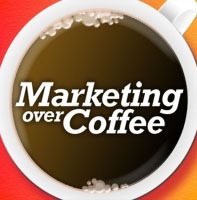 Marketing over coffee is a consistently engaging weekly discussion of what's new in marketing with John Wall, VP of Marketing at EventHero and Christopher Penn,VP of Marketing Technology at SHIFT Communications. Tune in for the latest new media insights delivered in a lively and conversational fashion. 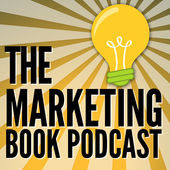 The Marketing Book Podcast helps you discover new ideas about what’s working in the quickly-changing field of modern marketing. Each weekly episode interviews authors to give you practical marketing insights, tips, and tactics to help you become a smarter, more successful marketer. The host is Douglas Burdett, a marketing agency principal, former artillery officer, Madison Avenue ad man, and stand-up comedian. With their comprehensive how-to guides, Social Media Examiner is a regular fixture on our weekly trending content roundups. 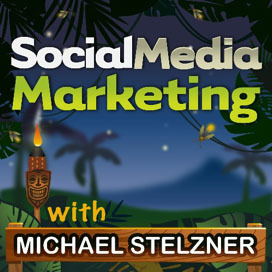 This 45-minute podcast continues the practical advice the blog is known for, with host Michael Stelzner bringing in subject matter experts each episode. From dealing with fraudulent reviews to choosing the right live-streaming platform, Michael and company have you covered. 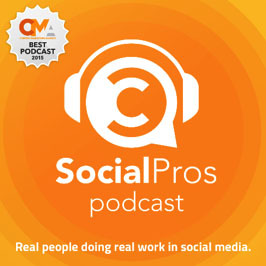 Fresh off their Content Marketing Award for Best Podcast in 2015, the Social Pros Podcast continues to bring serious analysis and practical advice to social media marketers. Each hour-long episode is hosted by Jay Baer and Salesforce’s Adam Brown. Recent guests include Docusign’s Head of Global Social Strategy and Operations Caitlin Angeloff and Business Strategist David Horsager. 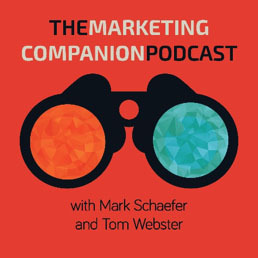 Hosts Mark Schaefer and Tom Webster claim the Marketing Companion Podcast is “the world’s most entertaining marketing podcast.” Having listened to a few episodes, they’re definitely in the running for the title. These two marketing veterans aren’t just out to tickle your funny bone, though. There is plenty of practical marketing advice to be had between the laughs. Check out Episode 61: The Rant Show to hear how fun and informative it can get. With nearly ten years of archives to explore, Mirum President Mitch Joel’s podcast offers an embarrassment of riches. 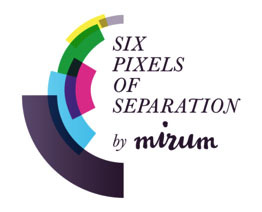 The 60-minute episodes cover a dazzling array of topics, from high-level concepts like leadership and creativity to of-the-moment concerns like adblockers and parenting in the digital age. If you’re still listening to the same Judas Priest CD on repeat in your car—well, I can’t blame you. But if you’re looking to do something more productive with your drive time, these podcasts can make you a more informed, more effective marketer. I may be a tad impartial, but I also recommend subscribing to the Sophisticated Marketer’s Podcast. 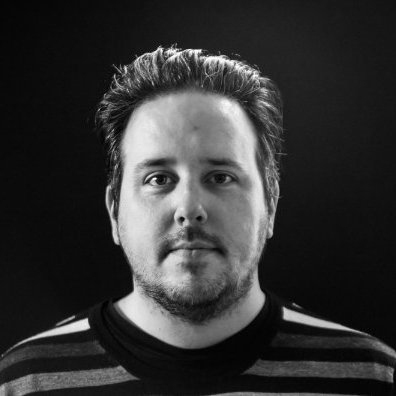 Each episode, I sit down with a marketer who is shaping our industry. It’s a podcast by sophisticated marketers, for sophisticated marketers.